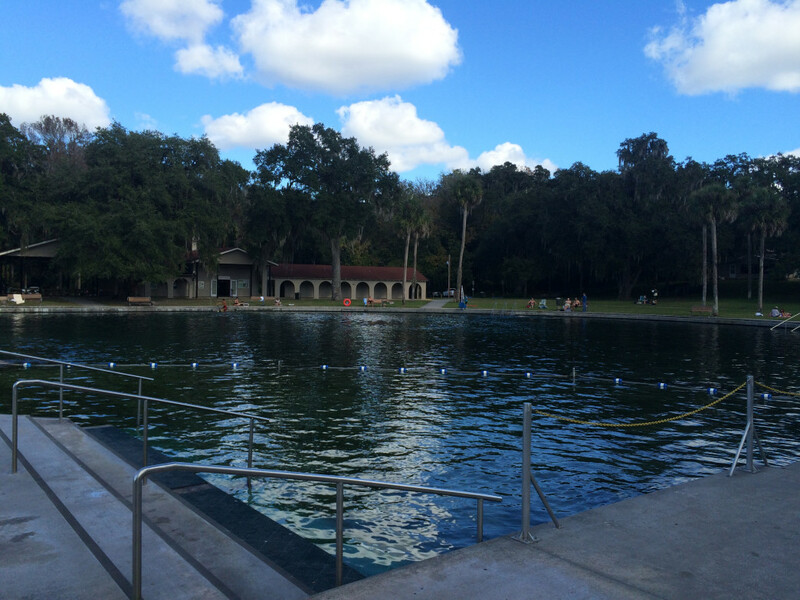 De Leon Springs State Park, as many natural spring areas in Florida can boast, is known for the crystal clear 68 to 72 degree water pumping from the Florida aquifer. You might ask what makes this one spring such a unique gem compared to the nearly 900 other springs scattered throughout the panhandle state? And the answer is pancakes. 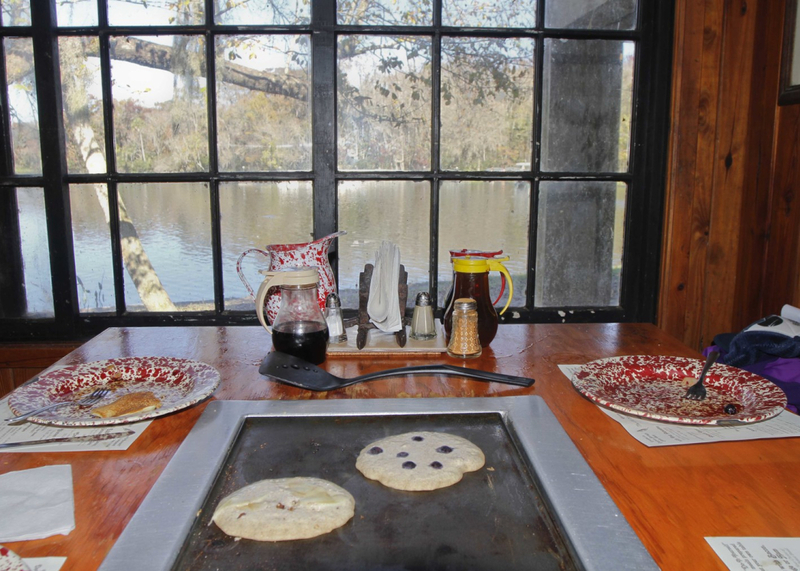 Yes, that’s right, it’s the pancakes at the Sugar Mill which have flocks of people lining up each morning at the park. 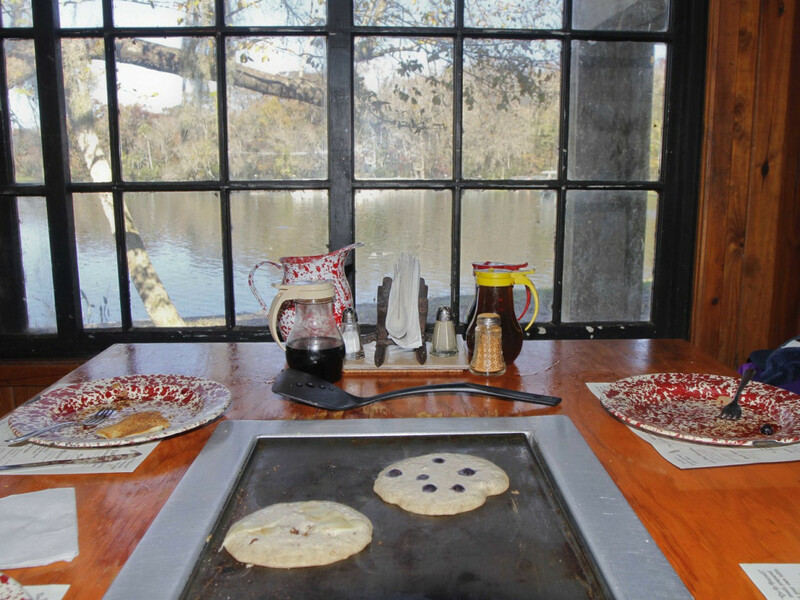 This unique little breakfast spot has a do-it-yourself pancake griddle set in the middle of each table. Though there are other items on the menu besides the all-you-can-eat pancake breakfast, this is certainly the most popular option. Once you place your pancake order, your homemade pancake batter will arrive in a large pitcher for sharing. You can even order toppings for your pancake. Go for the blueberries or apples and cinnamon, and you won't be disappointed. These savory delights are always well worth the wait (which during the summer months can be 2-3 hours). After you’ve stuffed yourself to complete food coma status, you’ll know you’ve had the Sugar Mill experience. After gorging yourself on pancakes, you might feel the urge to burn off some of those carbohydrate calories. Luckily, you can do so simply by walking around the Sugar Mill building. And you'll get a nice little dose of local history while you're at it. The restaurant is housed in a tiny, old building once used as a sugar mill in the 1830's. This sugar mill used to crush sugar cane by using some of the fourteen million gallons of water pumped from the springs each day. As you walk around the property you will see multiple marked areas that provide some interesting historical information about the park’s past. 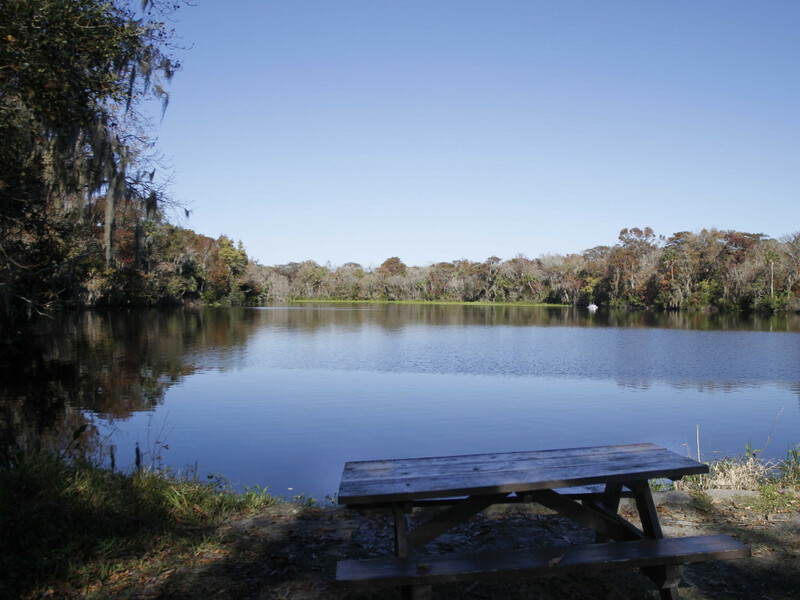 De Leon State Park could easily keep you and your family busy for an entire day. The spring itself is a fantastic area for snorkeling or a leisurely swim, and these water temperatures are a consistent sixty-eight degrees year round, so you know what you'll be getting: pretty chilly water. Perfect for cooling off during the summer months. Bring a mask and snorkel or goggles to check out the area as you take a dip, and be prepared for the chill to take your breath away! Just swim around and check out the area and you will warm right up. The water is crystal clear and you will have a chance to see some smaller aquatic life as you explore, including different types of fish as well as some plants that call this spring their home. Don’t worry about the water getting overcrowded during the summer, as this area is quite large. There are separate areas that have ramps for water entry as well as clearly marked shallow areas for all to enjoy. Full restroom and changing facilities are also available if you don’t want to make the journey home in your wet clothes. If exploring the water from above is more your style, the park rents canoes, kayaks, and paddleboards for a minimal fee. Keep your eyes peeled for manatees. These gentle giants are slow moving and also endangered, so when you spot one, be sure to keep your distance. Manatee sightings are not uncommon in these areas at this time, as they flee to the warmer water during the winter months. As you paddle away from the spring and toward 21,574 acres of lakes, marsh, and creeks that make up Lake Woodruff National Wildlife Refuge, it will feel as if you’ve entered a peaceful sanctuary. The background noise from the park fades, and the sound of the Refuge takes over. The distinct bird calls, the tail of an alligator rummaging through the lily pads, and the plopping noise of a fish breaking the surface now vies for your attention. 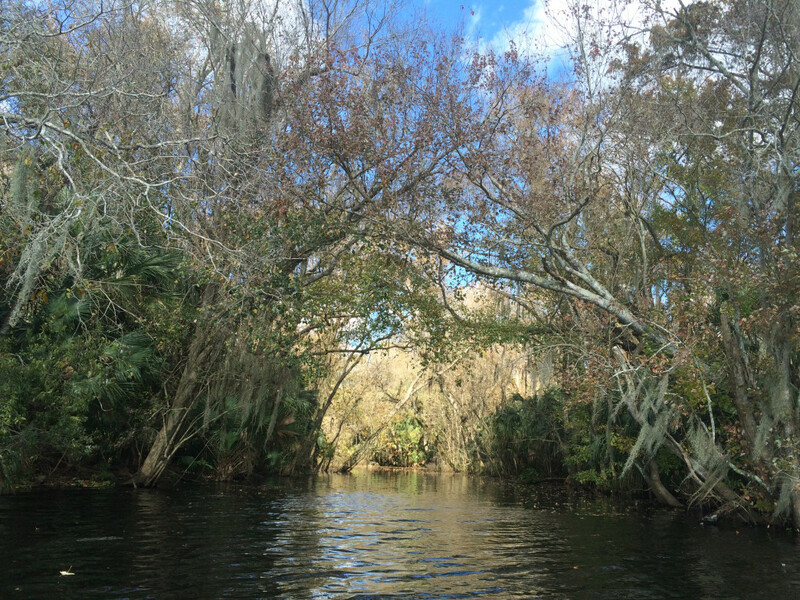 Around mile 1.5, watch for one of the three canals that pass under a canopy of hardwood swamp trees. These canals can only be reached by kayak or canoe, and the preserved conditions are invigorating. Watch osprey hunting and enjoy the symphony of the creaking trees. But don’t find yourself so immersed in the moment that you forget to leave yourself enough time for the return trip back to the boat launch. It will be a bit more difficult since you'll be going against the current. If paddling isn’t your cup of tea, but you still want to get the experience out on the water, sign up for the fifty-minute eco/history boat tour. Finally, wrap up your day at the springs with a short hike before the sun sets. There is a half-mile paved nature trail that passes through an impressive array of native Florida plants. Look for the enormous cypress tree, named Old Methuselah, which towers at one hundred and fifty feet and is estimated to be over five hundred years old. 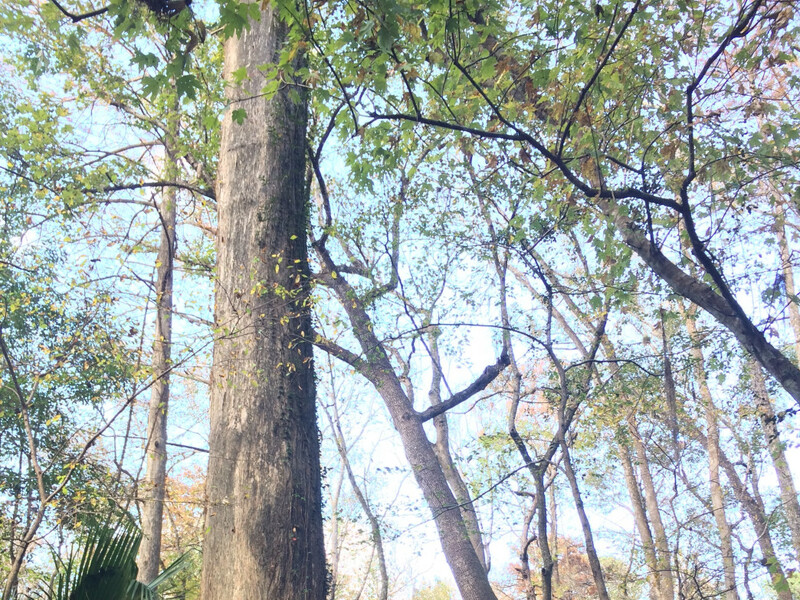 If you find that you have a little more time and want to stay on the move, there is a four-mile unpaved loop trail that is well worth the hike just off the nature trail (about .3 miles in). If you are doing the four-mile Wild Persimmon Hiking Trail be sure to register at the ranger station first, douse yourself in bug spray, and follow the blue blazes. At a leisurely pace, this hike should only take two to three hours to complete. As the holiday season nears, don’t miss your chance to visit the 'Pancake Park.' 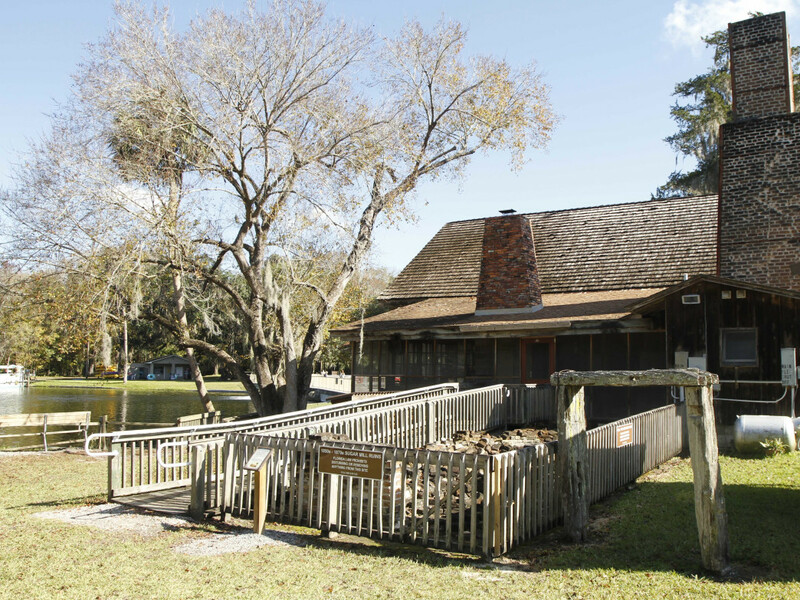 De Leon Springs is a great place to spend a day (or more); the pancakes are a must, the springs are begging to be paddled, and the surrounding trails are waiting to be explored. Choose whichever adventure you prefer, or combine the lot of them.